STANDING at the foot of the stairway in Páirc Esler, Paddy Tally's just been informed by a member of his county board that it would take a freak set of results for Down to win promotion. 20 seconds later, he learns from the media scrum that there is no such set of results that exists. Having won five on the bounce and come into the final day top of the table, their book-ending Newry defeats to Laois and Louth have undone them. 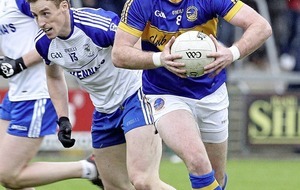 Yesterday's conquerors still have to play Westmeath in the league's outstanding fixture, and no matter what happens there, Down cannot go up to Division Two. A draw in that game would mean a three-way tie on 10 points between Laois (+14), Westmeath (+15) and Down (+13), and the Mournemen would miss out as they have the worst points difference of the three. A Louth win would see them go up as their current points difference is +20, and a Westmeath win would see Down knocked out of it on their head-to-head record with Laois. It's hard to digest, but Tally has no complaints. 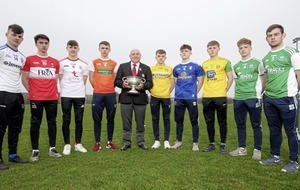 They scored just three points with a gale at their back and, stoppage time included, went 46 minutes of playing time without a score against a Louth side that were slicker, sharper and better on the day. 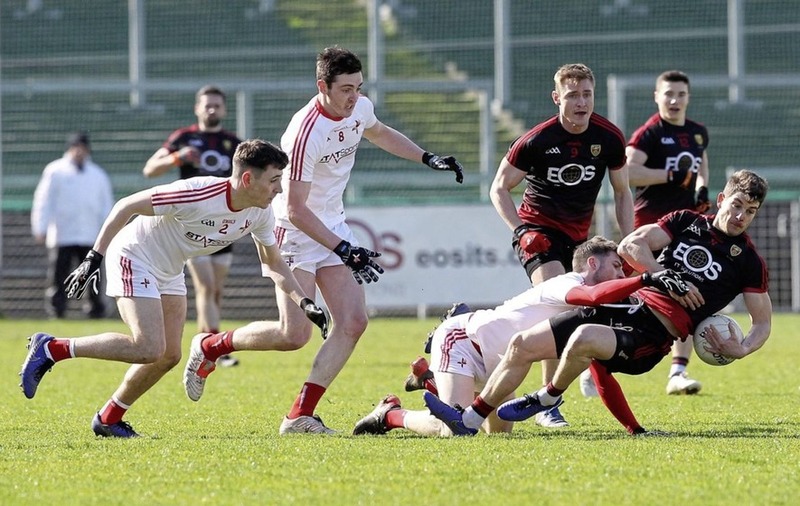 They almost rescued a draw, which would have been enough if Louth got a result against Westmeath, but ever since Caolan Mooney's late goal against Sligo the last-gasp stuff has been a feature of their campaign that came back on them this time. “They've been doing that too many times and riding the horse close to the tail. Today we were caught,” said Tally. “We didn't put enough scores on the board with a strong breeze behind us and it cost us. They've worked really hard to get to the point where they're so close to getting the promotion and now they're back as far as ever again. “Our destiny was in our hands today and we didn't grab it. It was there for the taking. We didn't play well enough. It's fiercely disappointing. Down had the wind at their backs in the first half and set up with Kevin McKernan as the full-time sweeper in defence. A by-product of that was Louth, who were dominating midfield on Down's kickouts, were able to get their own restarts off easily and thereby dominated the ball. “What do you do? You name your team to start,” said Tally when asked if he'd play the same way given another go at it. “You don't know the elements, you don't know until the ball's thrown in whether you have the wind at your back. Even with that, the breeze wasn't the reason we won or lost the game.